Spring is on its way and that means we can start pulling out our citrus recipes! I am a huge fan of citrus. In food form and scent form, so this recipe was right up my alley. 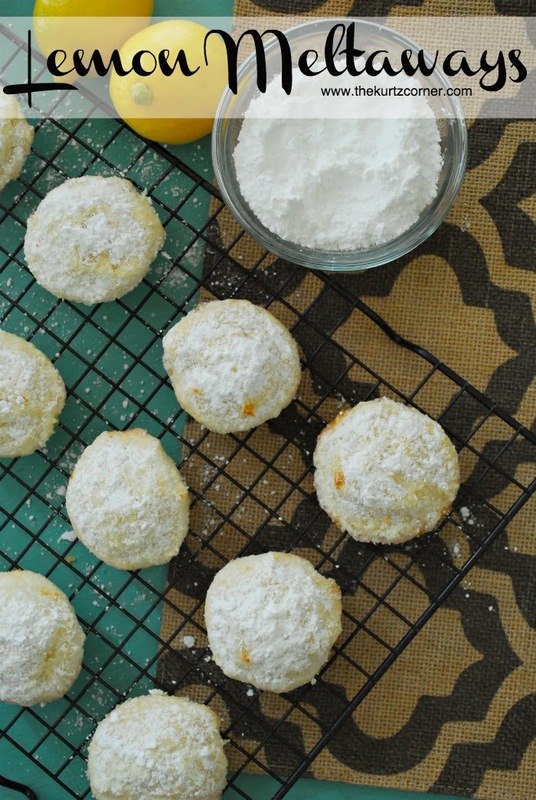 As a kid my mother would buy a box of powdered lemon cookies that I absolutely adored. I'm not sure they make them anymore, I haven't seen them in years, so when I found this recipe in my Southern Living magazine I knew I had to make them! These cookies are extra zesty and soft, not crunchy. They should be stored in an air tight container and the recipe yields about two dozen small cookies. 1. Beat butter at medium speed with a heavy-duty electric stand mixer until creamy. Add 1/2 cup powdered sugar; beat at medium speed until light and fluffy. Stir in zest and juice. Whisk together flour and next 2 ingredients. Gradually add flour mixture to butter mixture, beating at low speed just until blended. Cover and chill 1 hour. 2. Preheat oven to 350°. Drop dough by level spoonfuls 2 inches apart onto parchment paper-lined baking sheets, using a 1-inch cookie scoop. 3. Bake at 350° for 13 minutes or until lightly browned around edges. Cool on baking sheets 5 minutes. 4. Toss together warm cookies and remaining 1 cup powdered sugar in a small bowl. 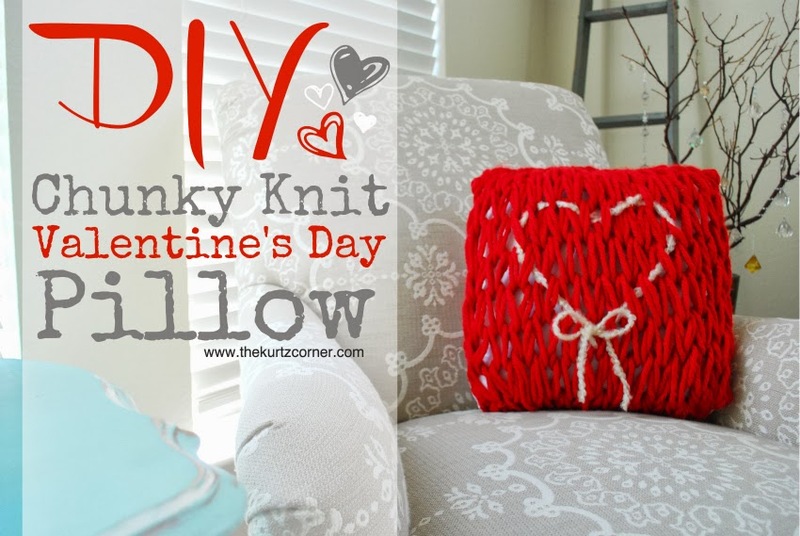 How fun is this Valentine's Day pillow?! Would you believe me if I told you I made it with my arms? Well, I did! 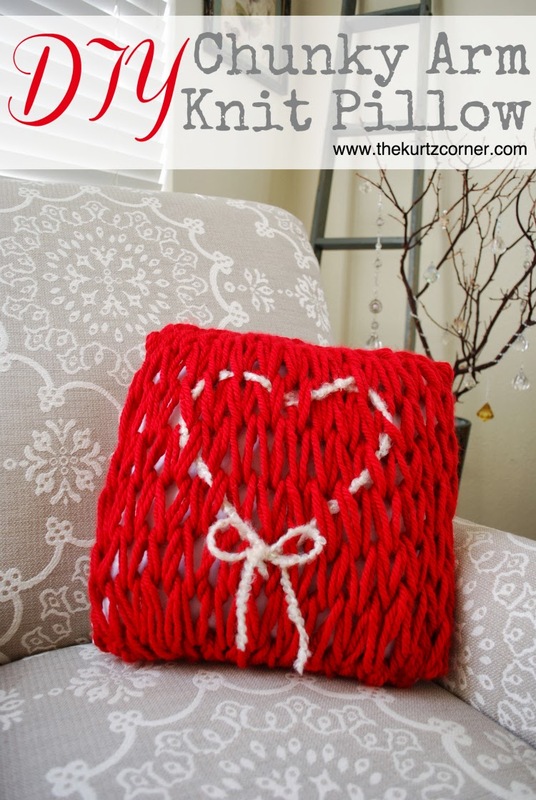 Using the arm knitting technique from my infinity scarf tutorial I was able to make this adorable Valentine's Day chunky knit pillow with just my arms. You can use this tutorial to make regular solid colored pillows or add embellishments to create festive holiday pillows! 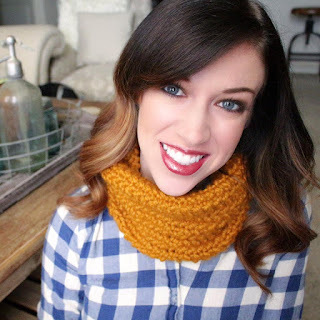 To learn how to make your own chunky arm knit pillow watch the video below! Hello from the Kurtz family!! Our little family of two is now a perfect little family of three! 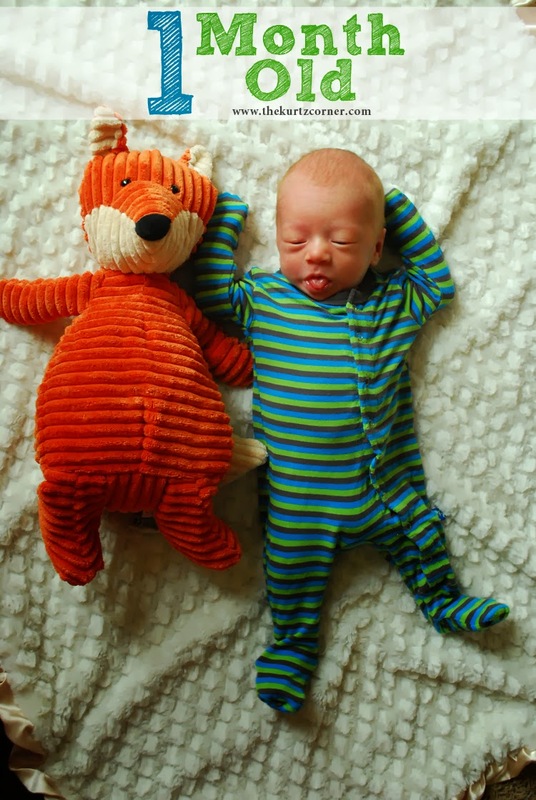 Peyton decided to make his debut 6 weeks early on 12/12/13 (Birth Story post coming soon). He was the best little Christmas present ever, with an emphasis on little. Our sweet baby boy weighed a mere 4lbs 11oz and measured in at 18.25in long! 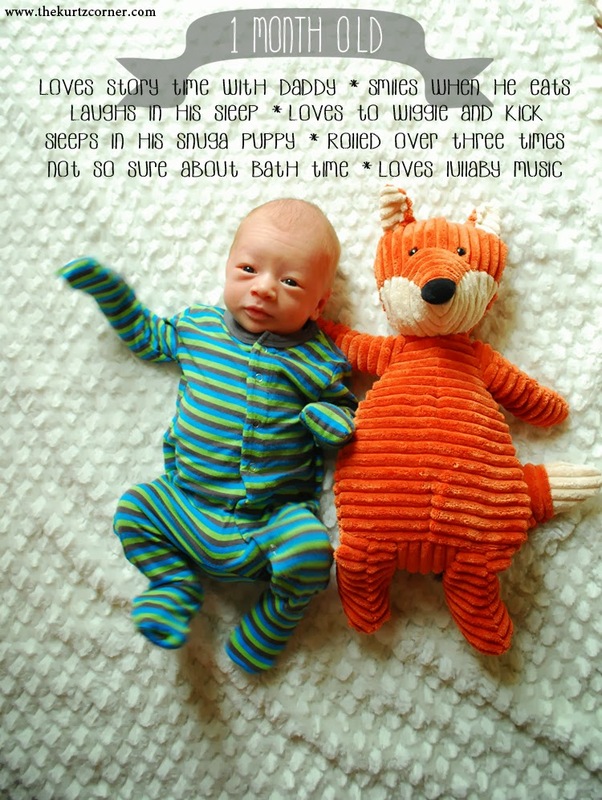 We are growing like a weed and are happy, happy, happy...most of the time! I hope to do a monthly update with pictures, similar to my weekly bump update posts. 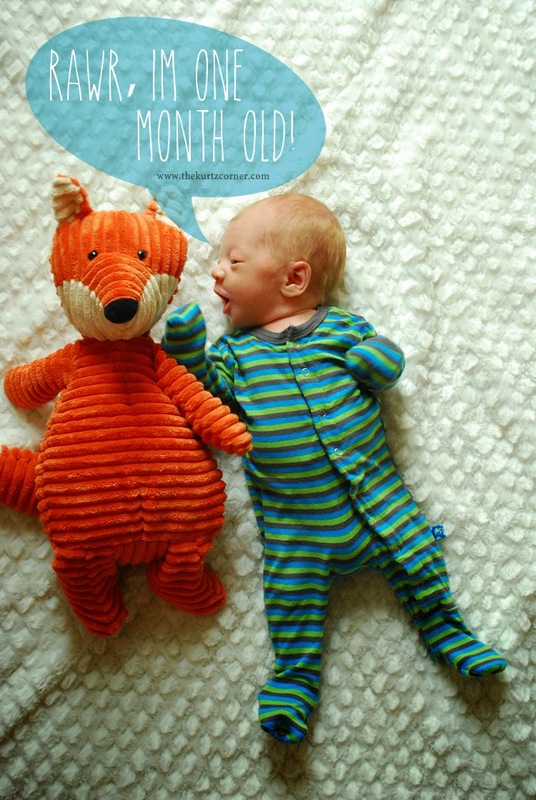 Here is our first 1 month old post with some fun pictures! Try not to kiss your computer monitor, I know, those cheeks are just so kissable!! !